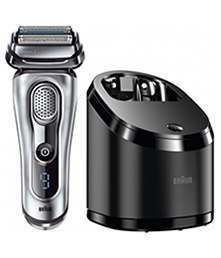 Braun are one of the most well known and respected manufacturers of foil-based shavers. 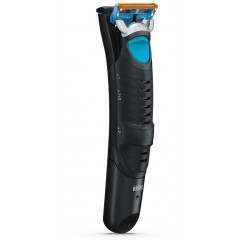 Read our expert buying guide to help you choose the best shaver for you. Known for their innovation and pioneering designs, it's no surprise that Braun are market leaders when it comes to foil shavers. Producing Braun shavers since the 1960’s, they continue to grow with their latest design, the Braun Series 9, being their best yet, independently tested and proven to capture more hair in one stroke than any other shaver. With their intelligent use of AutoSense technology, you can be sure that you will have nothing but closeness and comfort with every shave. 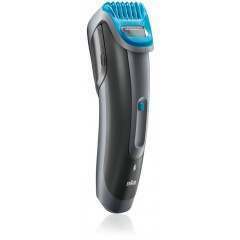 This clever technology reads the thickness of your beard and adjusts the motor as needed, giving you perfect results every time. With a vast array of male grooming products to choose from, Braun offer the ideal range to help trim, tidy-up and maintain the look you want. Achieve a perfectly smooth, clean shave with gentle performance and perfect ergonomics to allow the best handling in every situation. Braun produce a range of shavers at prices to suit all budgets, each with the characteristic company values of performance and design, never compromising on quality. Browse the wide range of Braun grooming products and styling tools below, including electric shavers from Series 1, Series 3, Series 5, Series 7 and Series 9, beard trimmers, grooming kits and of course replacement foils for all shavers.